Zero Balancing (ZB) is excellent for changing new or old dysfunctional patterns. It’s a great way to let go of the residue of past experience that no longer serves you. That’s right, your body holds on to memories in the tissue, even ones your conscious memory has forgotten. And bones are the deep storage. Much as sound is recorded and stored, experiences (action, reaction, or emotion) are vibrations stored in the body in the form of tension. 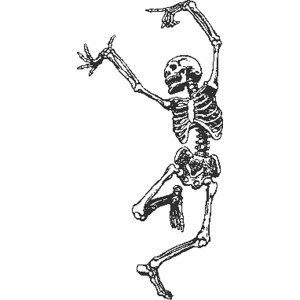 Feel free from the bones out. Anyone’s life holds more experience and incident than can be recalled or recounted. The ZB protocol gives a structure to working with the full body, letting my fingers find the places of stress or held vibration. Using acupressure-like touch on places of held tension, along with gentle tractions through those places, they can resolve, returning held energy to the entire system. Result? You feel better, maybe greatly better. You’ve been in an accident. You don’t want to feel so grouchy. You want to feel more grounded. You’ve fallen and hit your head. You don’t feel quite yourself. You’ve fallen and landed on your tailbone. You’ve crossed several time zones while traveling. Recent equinox or solstice – good time to realign with seasons. You want to feel like you can easily cope with stress. You want to feel more present and full in your body-mind. Call 352.318.8974 today to make an appointment for a Zero Balancing session.